Fabrisonic LLC has introduced the newest addition to its line of ultrasonic additive manufacturing (UAM) machines, the SonicLayer® 4000. The Ohio State University College of Engineering has been the first to adopt the SonicLayer 4000 for use in its research on embedded smart materials. 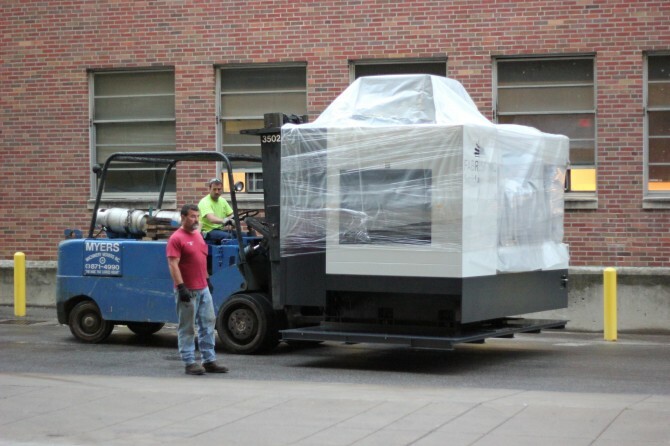 The machine was installed a few weeks ago into Scott lab, the main mechanical engineering building. As you can see from the pictures, the machine was a tight fit going into the building. As mentioned in an earlier post, the Buckeye machine also is fitted with a laser for micromachining. We are excited to have another machine in the research field to help develop our technology to the next level. We are happy to be collaborating with Dr Marcelo Dapino and his research staff. The SonicLayer 4000 has a 3-axis CNC mill with bed dimensions of 40” x 24” and a 25HP 8000 RPM spindle for machining any metal part. 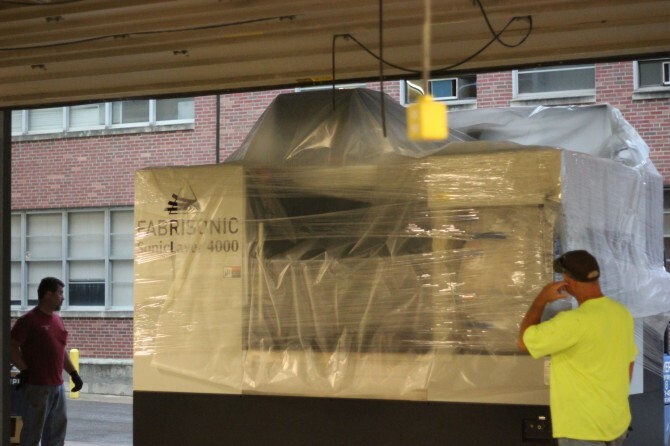 It utilizes Fabrisonic’s patented 9kW UAM welding head to additively manufacture solid metal parts. 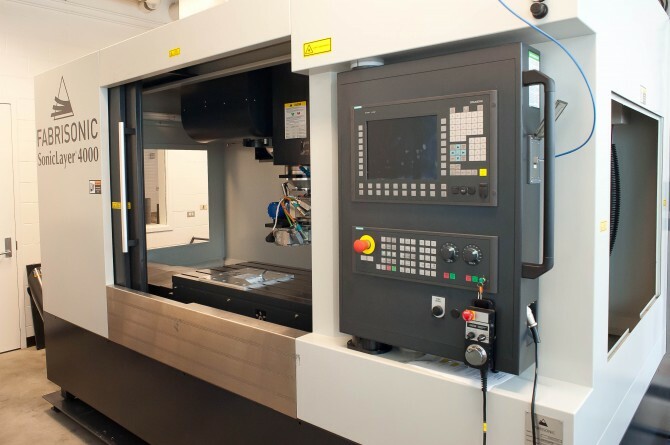 To enhance productivity, every machine comes with a copy of Fabrisonic’s custom-made G-code CAM software, which allows for true CAD-to-part automation. When CAD geometry is imported into the SonicCAM, the software generates the tool path for both welding and machining. The automatically-generated G-code is then moved to the machine for production.